Sickle cell disease (SCD) is a common, life‐threatening genetic disorder that is best managed when diagnosed early by newborn screening. Sickle cell disease (SCD) is highly prevalent in sub-Saharan Africa and central India. Sickle cell anemia is the most common and severe form of SCD. In sub-Saharan Africa, where up to 90% of children with SCD are thought to die undiagnosed before the age of five, screening tests in newborns have not been implemented universally. Early diagnosis and prevention can avert 70% of the deaths that occur in these regions due to SCD. However, the available diagnostic tests are costly, and cumbersome, and may take weeks or even months to inform the family of the diagnosis. Therefore, a point-of-care diagnostic tool for SCD is an urgent need. 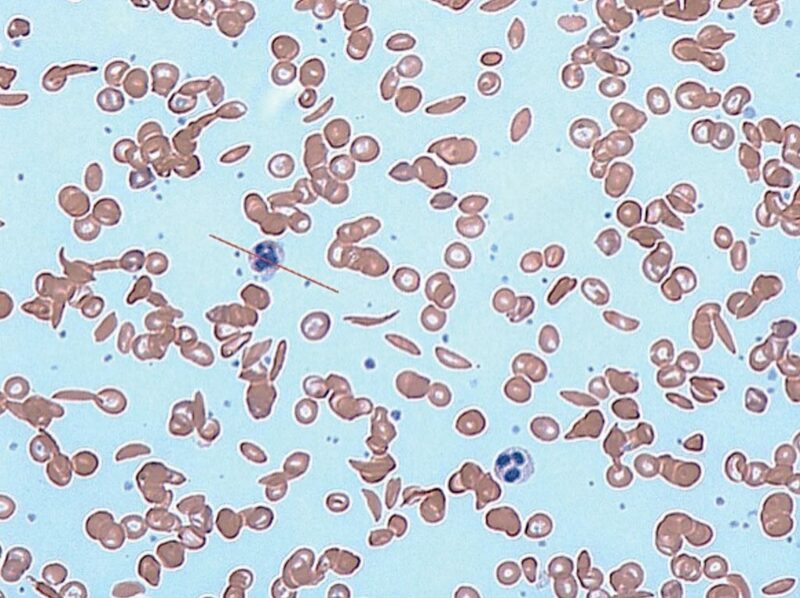 Image: A photomicrograph of sickle cells in human blood: both normal red blood cells and sickle-shaped cells are present (Photo courtesy of Dr. Graham Beards). An international team of hematologists collaborating with the Cincinnati Children's Hospital Medical Center (Cincinnati, OH, USA) included in their study 383 participants from Ghana, 46 from Martinique and 158 from the USA. The age range of the participants was newborn to 30 years; 16.6% of the participants from Ghana and Martinique were under one-month-old. Ghana also has a high prevalence HbS and HbC sub-types. In this global, multi-center study, patient blood was tested using HemoType SC kits at the site of sample collection. The diagnostic accuracy of HemoTypeSC, a point‐of‐care immunoassay, for SCD was evaluated in individuals who had SCD, hemoglobin C disease, the related carrier (trait) states, or a normal hemoglobin phenotype. The accuracy of the result was compared with the evaluation done in a laboratory in order to validate the use of HemoType SC as a diagnostic tool to be used where sample collection is performed. The authors reported that in 587 participants, across all study sites, HemoTypeSC had an overall sensitivity of 99.5% and specificity of 99.9% across all hemoglobin phenotypes. The test had 100% sensitivity and specificity for sickle cell anemia. Sensitivity and specificity for detection of normal and trait states were more than 99%. 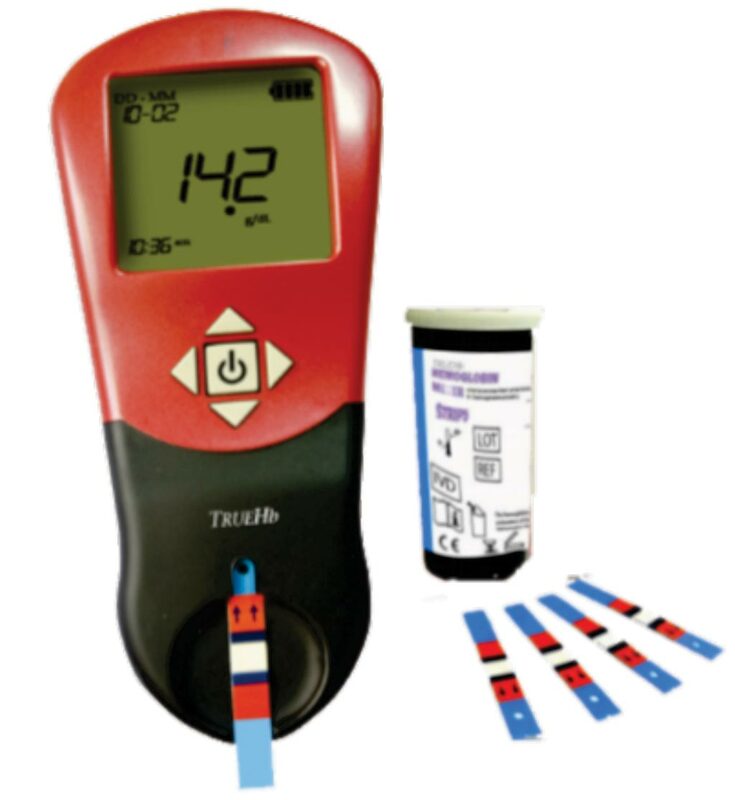 HemoTypeSC is an inexpensive at less than USD 2.00 per test, accurate, and rapid point‐of‐care test that can be used in resource‐limited regions with a high prevalence of SCD to provide timely diagnosis and support newborn screening programs. The authors concluded that HemoTypeSC is an inexpensive, accurate, and rapid point-of-care test that can be used in resource-limited regions with a high prevalence of sickle cell disease to provide timely diagnosis and support newborn screening programs. The study was first published on October 5, 2018, in the American Journal of Hematology.